Camp Towanda Culinary Favorites- Mexican Fiesta! Camp Towanda is very excited to partner with “Kids Cook Mondays“, using some of our Camp Towanda Culinary Favorites to encourage family time in the kitchen! 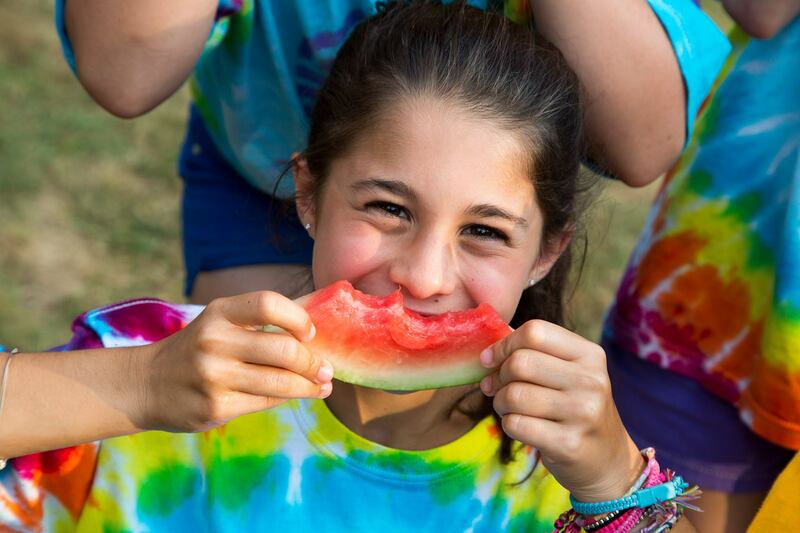 We experience at camp firsthand, that when kids are involved in making and preparing their food, they are more likely to try new things, broaden their horizons and eat more healthfully. 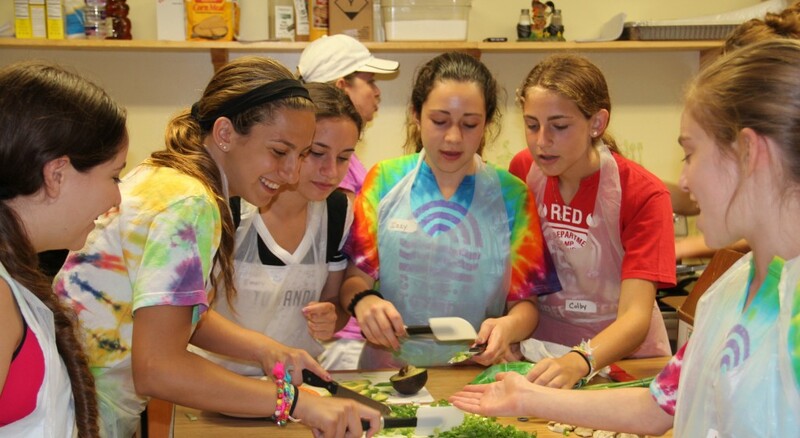 We look forward to another summer at the Camp Towanda Farm Kitchen, where our campers will improve their cooking skills, learn kitchen ettiquette and safety and create new and exciting foods and ethnic dishes. Here is one of our favorite meals from last summer–The Mexican Fiesta! Please send us photos of your family’s own fiesta making these dishes…and think fondly of camp! Mix all items together mushing the avocado but leaving some chunks of avocado. The Kids Cook Monday is a project of The Monday Campaigns, a non-profit public health initiative encouraging people to use Mondays to integrate healthy behaviors into their weekly routines. When kids pitch in to make meals, they’re empowered to learn more about what they eat and make healthier choices. And since the family that cooks together eats together, the initiative encourages regular family dinners to benefit kids and help parents stay connected to their children’s lives. The Kids Cook Monday offers a wide variety of free family dinner recipes and educational resources. Visit TheKidsCookMonday.org for more information. 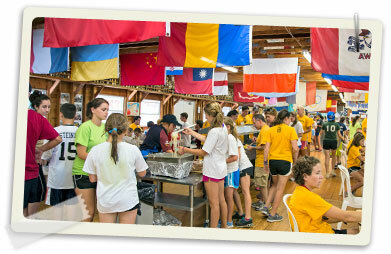 Why kids actually EAT at camp! Last weekend we had our “Group Scoop” orientation, which welcomes new campers to the Camp Towanda family. It is a great opportunity for parents to get comfortable and most importantly for campers to get psyched for their best summer yet! One question that gets raised every year by new parents is “What do I do if I have a picky eater? I’m worried he or she won’t eat.” We totally get why this issue concerns you. Food is what keeps our kids from running on empty. It fuels their day and can dramatically affect energy levels and moods. As parents, we cater to our kids’ eating quirks, become short-order chefs, manipulate meals and jump through hoops to keep our kids happy and their tanks FULL (we’ve all been there)! But how can we do that at camp when we have one chef to feed over 700 people? Believe it or not, that’s where the “magic of camp” comes in! It’s true! We’ve seen it happen first hand at Camp Towanda Yes, the first few days and maybe even weeks, kids grapple with food choices. Counselors are made aware of eating issues and “food schtick” to help them navigate the process. Our Camp Mom Laura (also known as “Food Mom Laura”) sits with a different group at every meal. 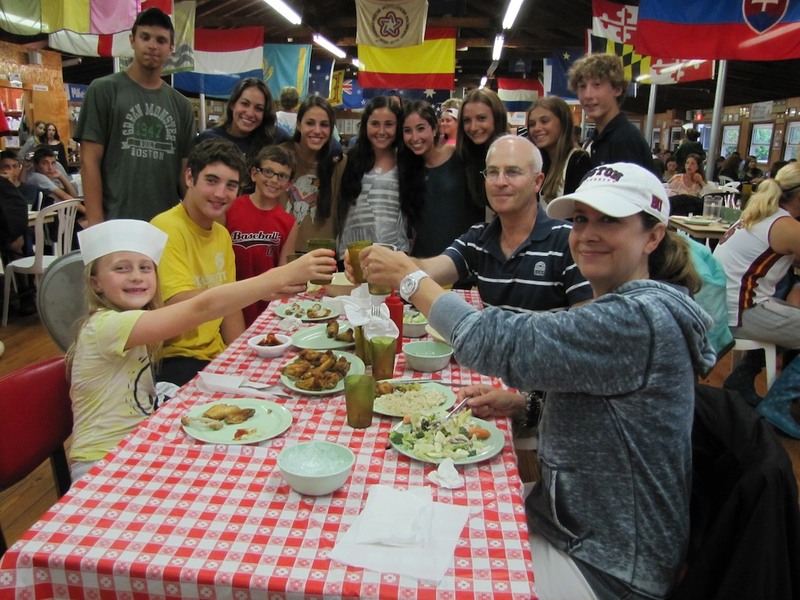 She encourages campers to try each of the choices prepared by the kitchen…our staff does too! 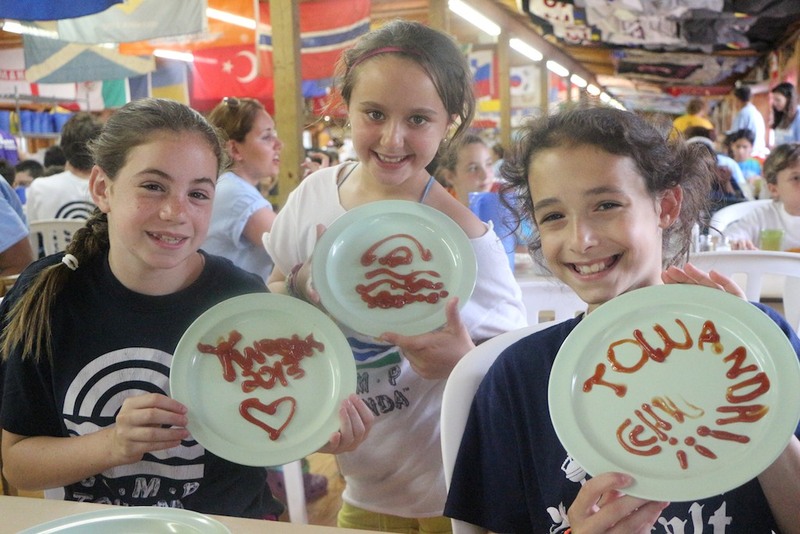 They put each item on their plate and encourage campers to do the same. There are no “yucks” and “eews” allowed. Our camp moms also walk through the dining hall, checking on campers who may need help making good choices (which is also good to help manage over-eating). Our salad bar is a great place for ‘picky eaters’ to find something they can enjoy and they are pleasantly surprised to see there is so much more than salad at the salad bar! Reliable back-ups like plain pasta, plain bread, yogurt, fruit, granola, tuna, hard boiled eggs and PB&J are always there! We even see campers getting creative, making egg salad, tuna salad sandwiches, and cheddar cheese pasta. When parents aren’t around to manage their kids’ quirks, kids grow leaps and bounds, conquer new fears, try new things, get out of their comfort zones and thrive. If your kid is a picky eater, this is why you send your kid to camp! Schedule a family-style meal 1x a week in your home with a food you know they like (and some foods that they don’t—they don’t need to eat them, but it’s good to keep them on the table). Parents can encourage children to taste foods on the parents’ plate. Did you know kids need to try the same food at least 3x before they like it? You can also place a small portion of a new food on their plate. Encourage them to taste it. Repeat this in a couple of weeks with the same dish. For salad lovers out there- take them to a salad bar and have them make their own…they will love this part about camp! Don’t worry…there are always fruit and pretzels available throughout the day at camp (and did we mention canteen, milk & cookies?). While we know how much you LOVE being a short-order chef, we think you will welcome your NEW and IMPROVED eater with open arms in August and be surprised to hear all the foods they tried and liked. And if they say “nothing”…well, we’ll never tell their secret about the time they ate sloppy joes at camp! 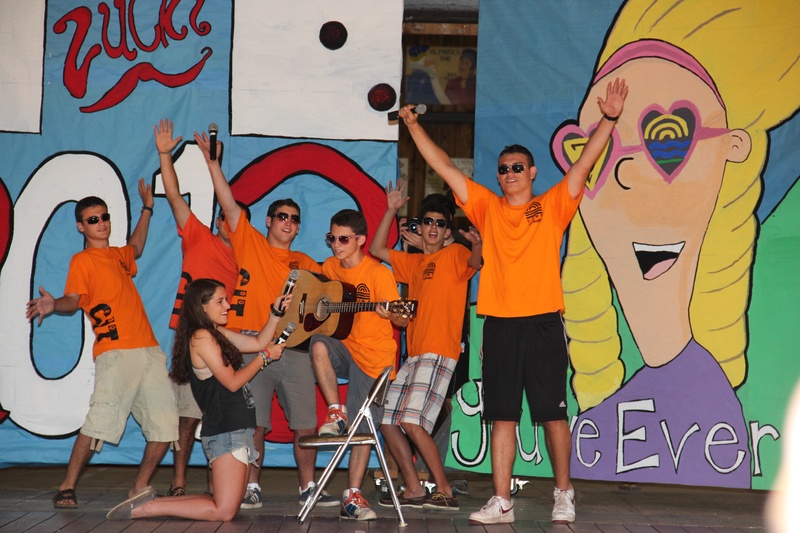 To learn more about Camp Towanda, visit our website here.